Gilman, Laura Anne (ed.). 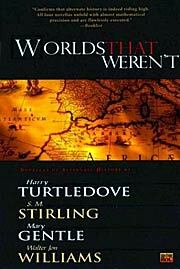 Worlds that Weren't . NAL/Roc 2002. Gilman, Laura Anne (ed.). Worlds that Weren't . NAL/Roc 2003. 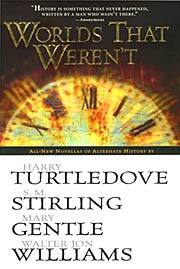 Summary: Anthology of four new novellas, including Mary Gentle's w88 android, S.M. Stirling's "Shikari in Galveston", Harry Turtledove's "The Daimon", and Walter Jon Williams's "The Last Ride of German Freddie". Comments: Gilman's name is not mentioned on the title or copyright pages, and some catalogs consequently list this volume as being edited by Anonymous or as written by Turtledove et al. Published: NAL/Roc 2002 (0451458869BUY), 2003 (0451528980BUY), 2005 (0451528999BUY).